. . . that tree frogs have suction cups for feet? Take a look! 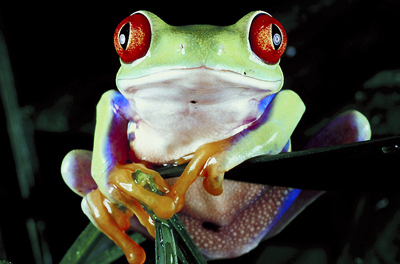 When the tree frog climbs up a branch or tree, its' little toes stick to the surfaces. Why? The frog's toes are covered with a sticky goo! You can find out more about tree frogs by reading a book at the library!